two uncertainties regarding willfulness in context of FBAR violations. We agree. Though “willfulness” may have many meanings, general consensus among courts is that, in the civil context, the term “often denotes that which is intentional, or knowing, or voluntary, as distinguished from accidental, and that it is employed to characterize conduct marked by careless disregard whether or not one has the right so to act.” Wehr v. Burroughs Corp., 619 F.2d 276, 281 (3d Cir. 1980) (quoting United States v. Illinois Central R.R., 303 U.S. 239, 242–43 (1938)) (internal quotation marksomitted). In particular, where “willfulness” is an element of civil liability, “we have generally taken it to cover not only knowing violations of a standard, but reckless ones as well.” Fuges v. Sw. Fin. Servs., Ltd., 707 F.3d 241, 248 (3d Cir. 2012) (quoting Safeco Ins. Co. of Am. v. Burr, 551 U.S. 47, 57 (2007)). We thus join our District Court colleague in holding that the usual civil standard of willfulness applies for civil penalties under the FBAR statute. This holds true as well for recklessness in the context of a civil FBAR penalty. That is, a person commits a reckless violation of the FBAR statute by engaging in conduct that violates “an objective standard: action entailing ‘an unjustifiably high risk of harm that is either known or so obvious that it should be known.’” Safeco, 551 U.S. at 68 (quoting Farmer v. Brennan, 511 U.S. 825, 836 (1994)). This holding is in line with other courts that have addressed civil FBAR penalties, see, e.g., United States v. Williams, 489 F.App’x 655, 658 (4th Cir. 2012), as well as our prior cases addressing civil penalties assessed by the IRS under the tax laws, see, e.g., United States v. Carrigan, 31 F.3d 130, 134 (3d Cir. 1994). Noting that it could not "defer to a determination we are not sure the district court made based on our view of the correct legal standard," it thus remanded to the district court to render a new judgment on the issue of willfulness. 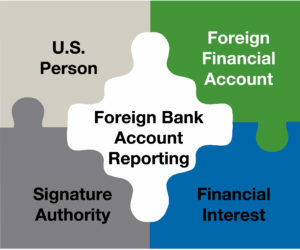 Have Undeclared Income from an Offshore Bank Account? Been Assessed a 50% Willful FBAR Penalty? It's fast. It's free. It's confidential. April 10, 2019 US Taxpayers Are Receiving Automated $10,000 Penalty Assessments For Late Filed Form 5471's & 5472's – We Can Help! April 10, 2019 Taxpayers With Foreign Assets Need to File FBAR by April 15? 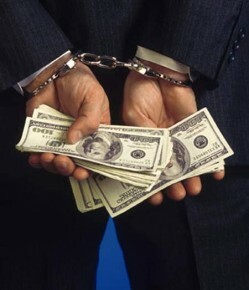 April 10, 2019 Former Tax Attorney Pleads Guilty to Tax Evasion – Really? Would You Like a FREE Tax Consultation?